Over the last few weeks, Luke and I have been focusing on our yard and how to improve it. 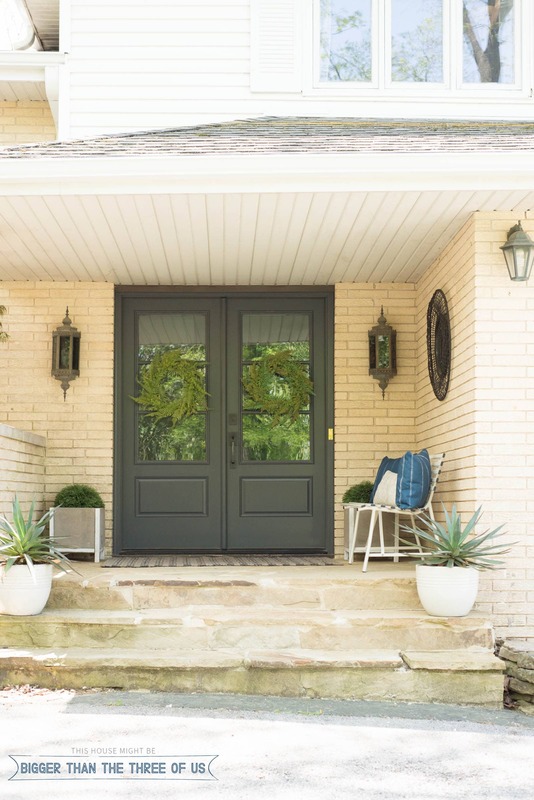 The weather in Missouri has been amazing, and I for one am happier with some sunshine in my life… so it’s just made sense to get out and work outside on improving our curb appeal. 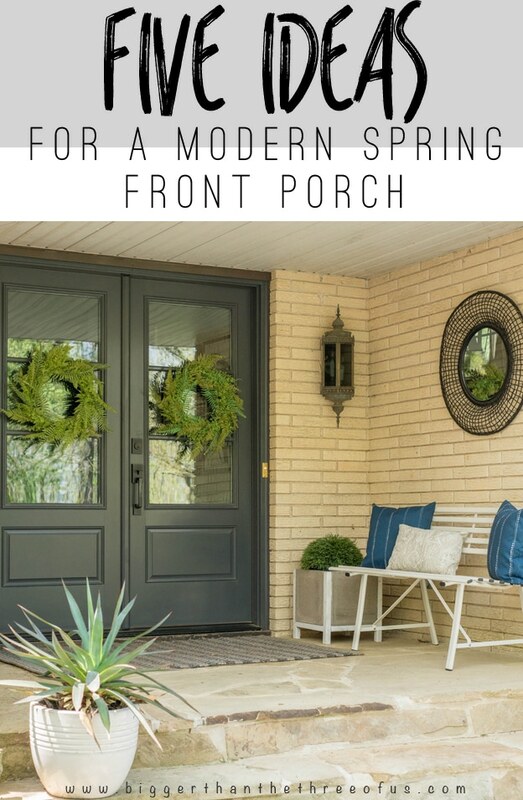 Over the past year, I’ve spruced up our front porch many times but never really focused on what my Front Porch Decor for Spring might look like. So, I decided to go for it and freshen up the front porch. 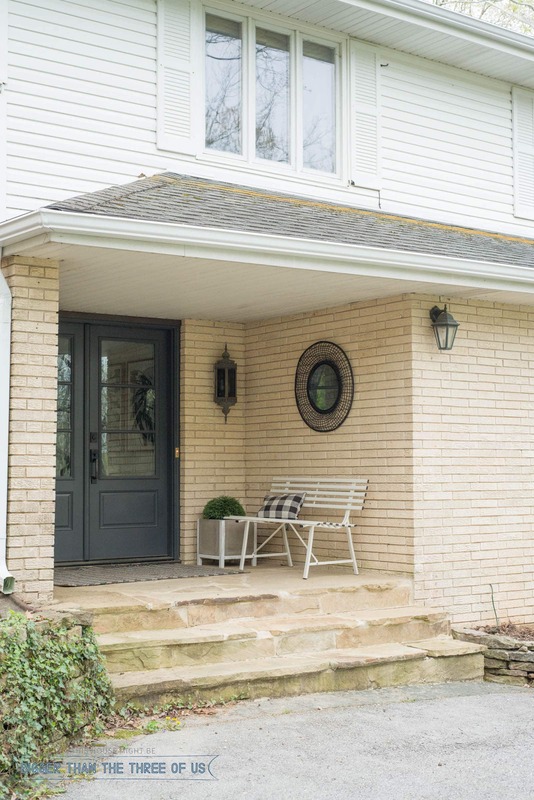 I always feel like you really have to see the BEFORE front porch (or really, the BEFORE of any space) before you can appreciate what the AFTER looks like. So, let’s take a look at the before! *Side note, this is the “before” from earlier this year. If I really showed you the “before” it would include my super ugly old front doors. 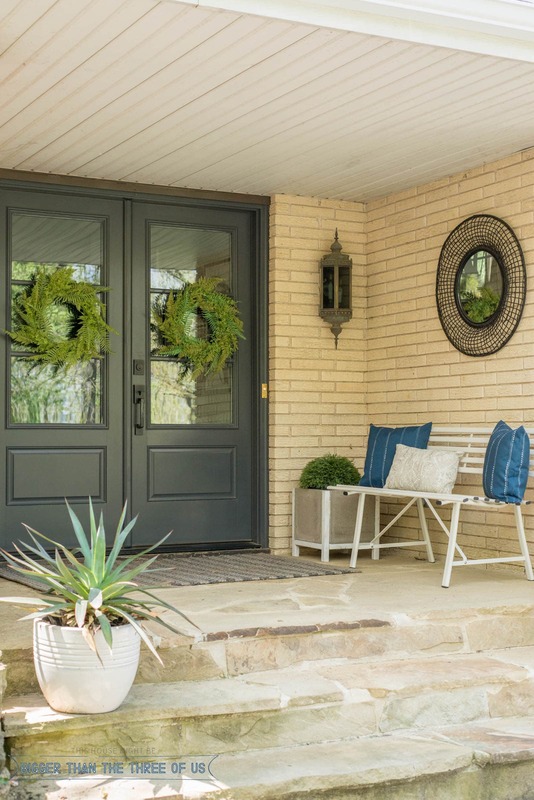 BUT, we upgraded our glass front doors last year and it’s made a world of difference! 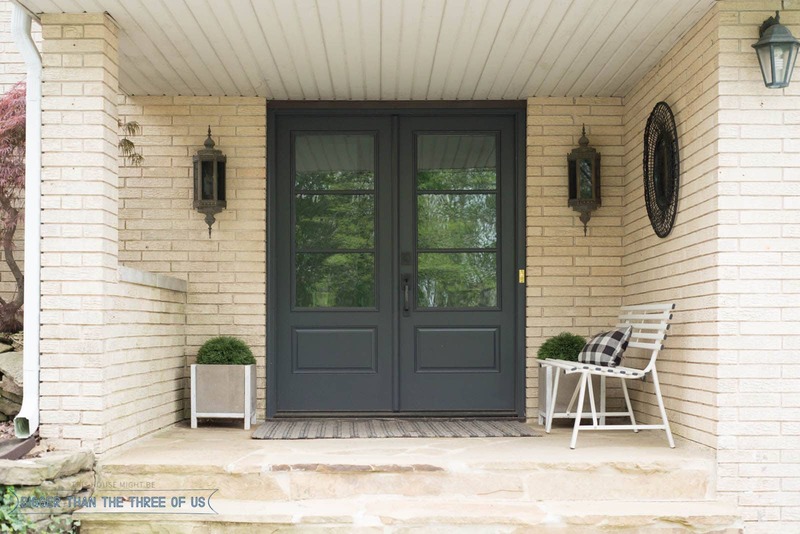 If you are curious to see what glass front doors will run you, then make sure to check out my post. The brick, stone, doors, light fixtures and bench all needed to be cleaned. The ivy (which can be seen better below) was really getting out of control as well and needed to be trimmed. So, we got on it and shared the process in our latest video. I hope we inspired you to take five minutes, and maybe a few bucks, and freshen up your space! Most of the pieces that I used in my space are no longer available but I did round up a few products if you are in the market to buy a few things for your space. I hope you are leaving today, feeling inspired to tackle your space. If you do, definitely tag me on Instagram! I’d love to cheer you on.